Happy New Year everyone. Five days in and I think I have just about recovered from my food induced coma (I maintain booze had nothing to do with it 😉 ). 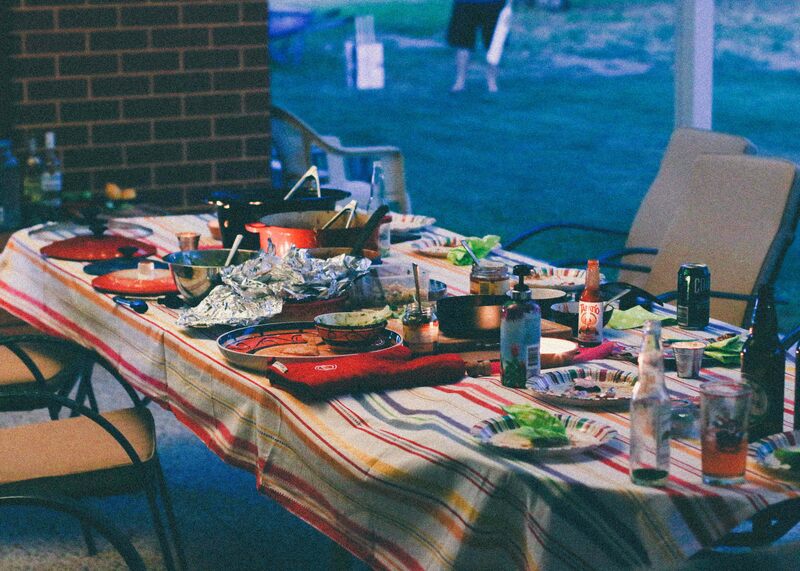 I hope 2014 brings you plenty of happiness, inspiration and food…lots of food. My girlfriend and I brought in the New Year by hosting a small little Mexican inspired gathering, surrounded by close friends, good food, plenty of beer and of course back yard cricket (not so Mexican, I know). 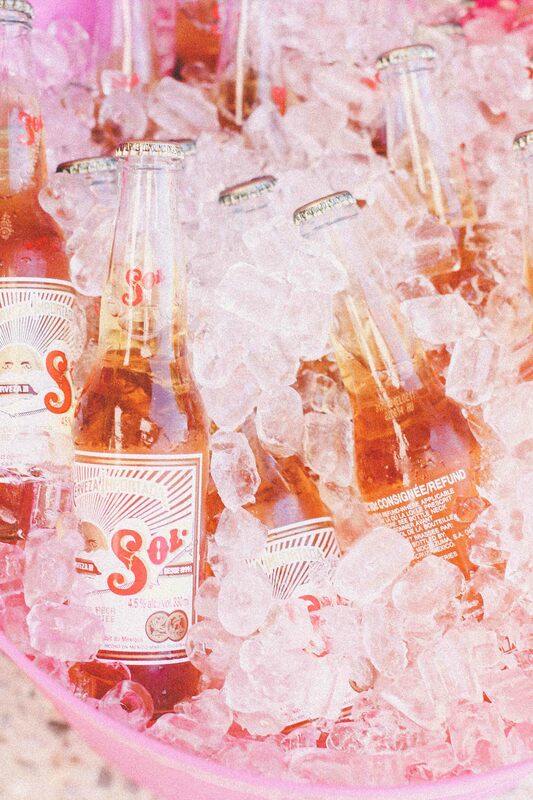 What else could you ask for? Fortunately or rather unfortunately, the day before New Years Eve I ate something that my body did not particularly agree with. As a result my face decided to swell, similar to that of when a blowfish puffs up, I’m sure you get the picture. This meant two days off work, but it’s also meant I had time to prepare the Mexican food, rather than staying up past my bedtime two nights in a row. After we had decided on a menu, we set out to find some props to make the outside area look as Mexican as possible. We managed a very Australian/Japanese influenced Mexican look, but it did the job just fine. 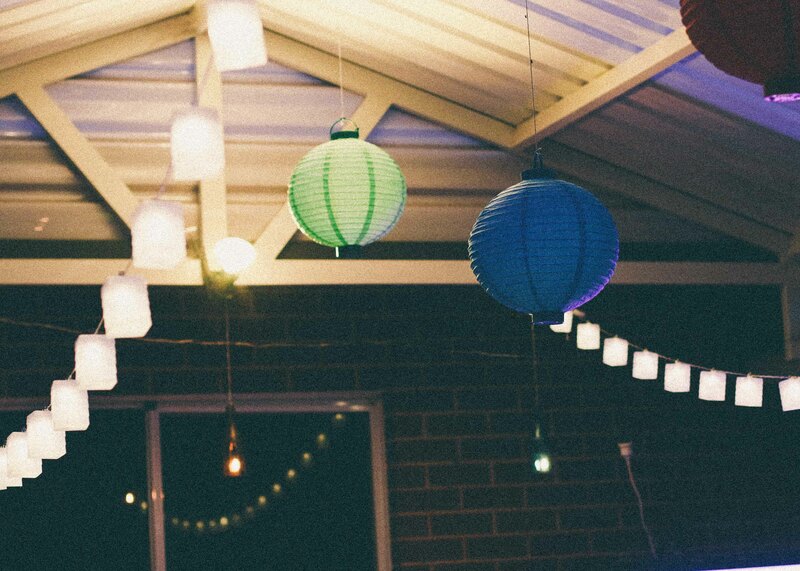 All thanks to some $10 Japanese lantern lights from Bunnings and some $2 brightly coloured paper lanterns from cheapo express shop X (the name eludes me). Both the pork and the chicken were cooked low and slow, the chicken for eight hours in the slow cooker and the pork for 6 hours in the oven. Given my poor time management skills it was very much like an episode of My Kitchen Rules, running around trying to finish everything before the guests arrive. Needless to say just like the show, we failed miserable in getting all the prep done before the guests arrived, but we managed to get on just fine. The night was a success, people ate, drank and played back yard cricket (even if we did use a Corona box to make the stumps the right height) until we celebrated the New Year with another drink. Happy Days. 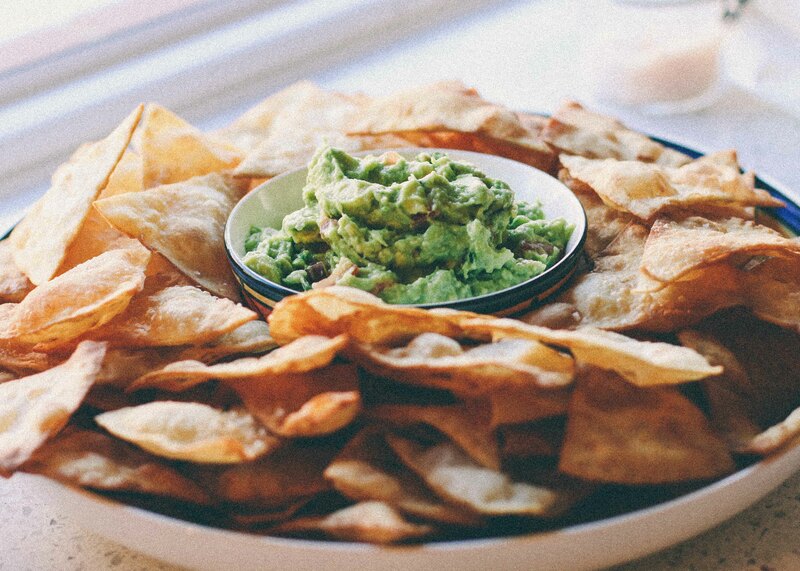 Fry the tortillas in batches until golden and crispy, then set aside. Once they have all been fried toss them in a little salt and serve warm or at room temperature. 2kg pork shoulder, bone in. Combine the cumin, coriander, paprika, oregano, bay leaves into a bowl and mix well, add a pinch of salt and pepper. massage the spices into the pork shoulder and allow to marinate for around 2 hours. Add the remaining ingredients to an oven proof dish, add the pork cover and place in the oven. Reduce the temperature to 150’c and cook for 5 1/2 hours until the meat falls off the bone, for the last half hour remove the lid and let the sauce reduce and the pork brown. Remove the pork and set aside, continue to reduce the sauce on the stove until it has thicken. Once the pork has cooled slightly use two forks to shred the meat and return to the source. 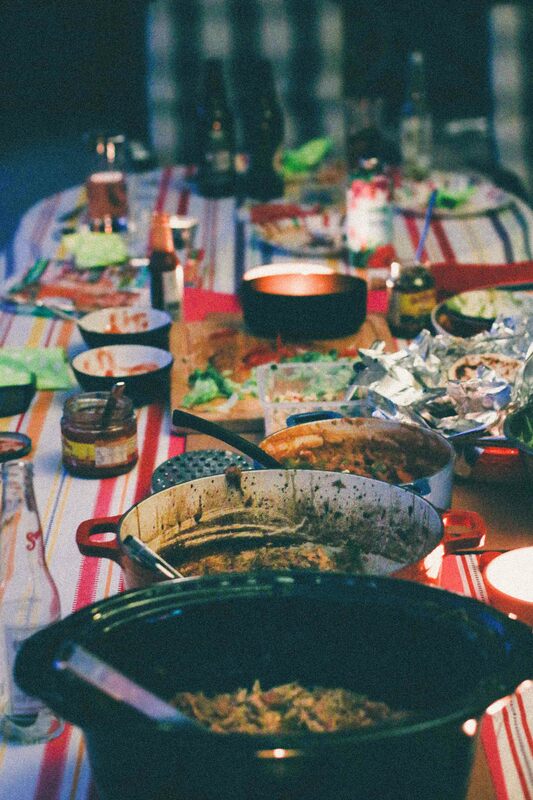 The feasting table looks fantastic, great shot of the pork carnitas. 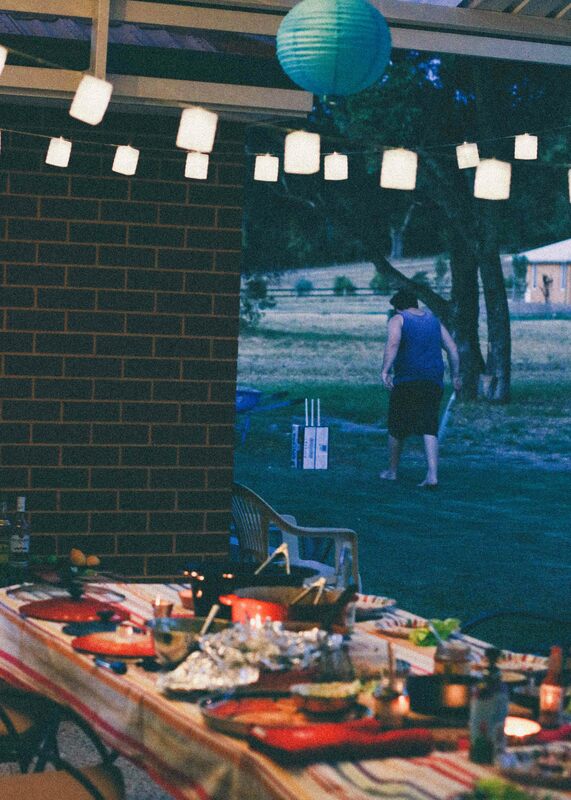 Love the idea of Aussie-Japanese Mexican decorations, and backyard cricket of course. Thank you :) It was a great way to see in the new year :) I hope you enjoyed a massive feast? What a feast, Happy New Year. Everything looks amazing. So sorry about the puffy face, hoping that the swelling subsided quickly! This sounds like such a nice party! I love your menu (and your decor!) and I am Pinning your method for pork carnitas to try myself. 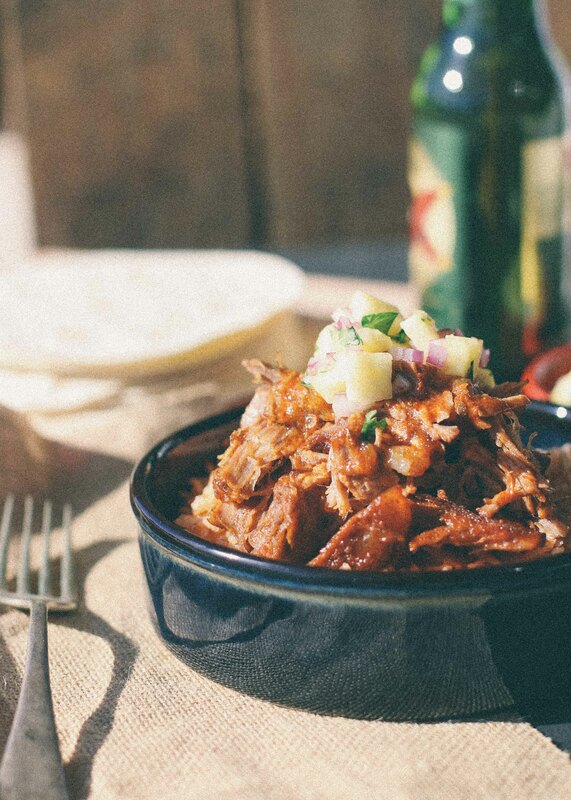 Carnitas are one of my faves! 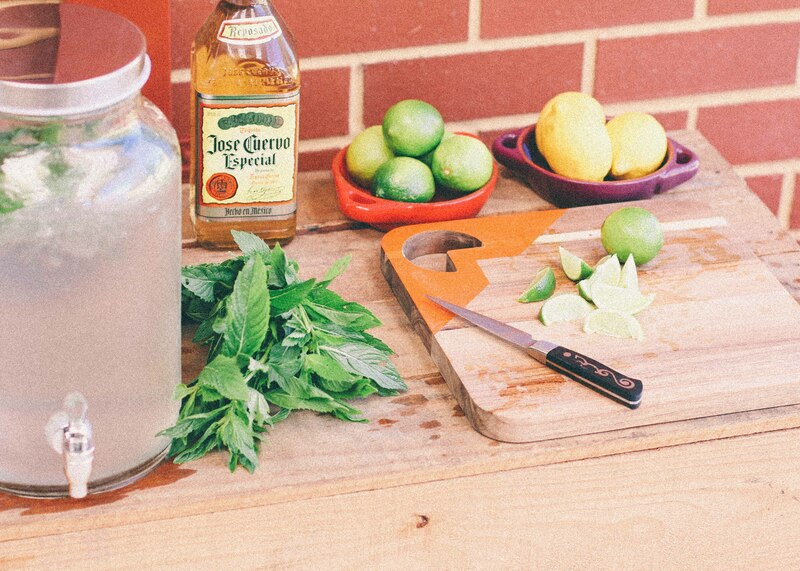 This inspires me to host a Mexican Night sometime soon myself :) Yum! your mexican party sounds wonderful, australian/japanese decor and all. i'm hosting my first ever grown up dinner party in a few weeks, for the lunar new year, and my time management, usually quite good, is pretty abysmal right now. there just seems to be so much to do and i don't even know where to start, so i want to take a nap instead.